NICOSIA, Cyprus — An initiative to build bridges between the Greek and Turkish speaking communities of ethnically split Cyprus faltered Tuesday after the leader of the breakaway Turkish Cypriots skipped a soccer match over a dispute of the game's location. 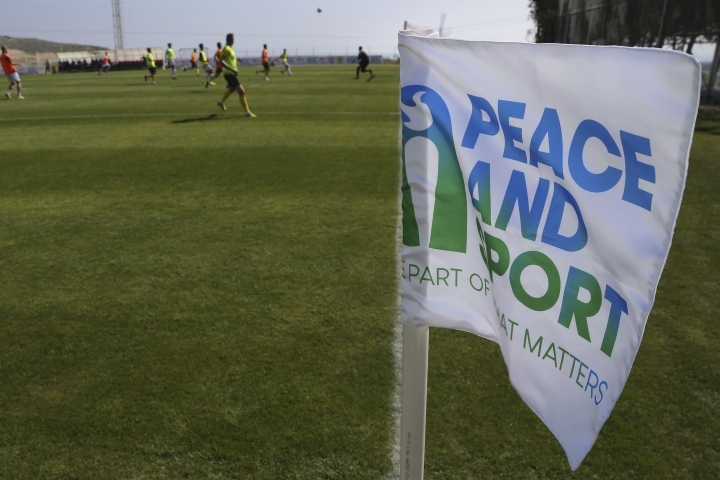 Mustafa Akinci said he couldn't attend because the small stadium in the mixed village of Pyla was situated within the jurisdiction of Cyprus' internationally recognized, Greek Cypriot-run government. He said the match should have been held in the United Nations-controlled buffer zone, but that the U.N. said they couldn't provide security. He said that meant there would be no reciprocal game held in the island's breakaway north, as was with previous such events designed to foster cooperation. 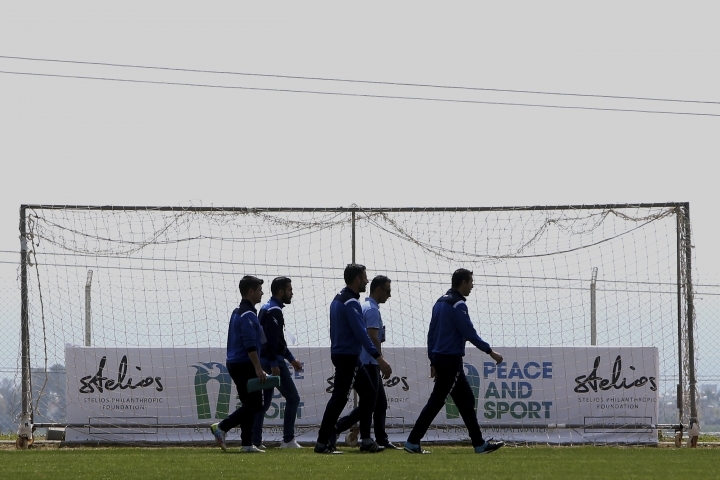 Cyprus President Nicos Anastasiades — a Greek Cypriot — said the choice of stadium was clear from the outset when organizers had initially pitched the idea. 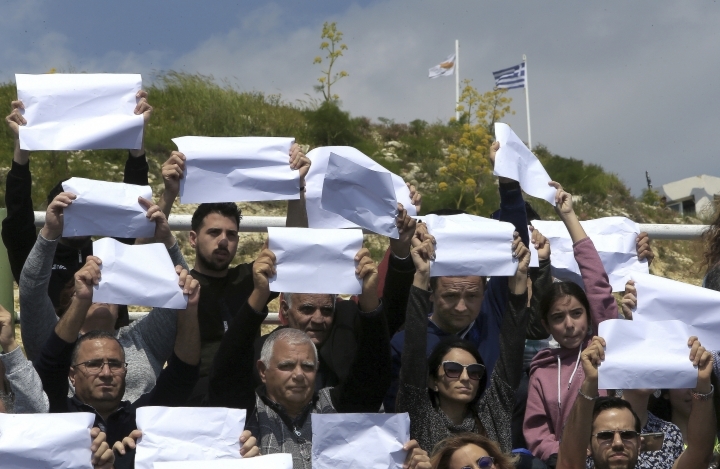 Anastasiades said his attendance aimed to "send a strong message of hope and peace." "Despite any differences we may have with my friend Mustafa, he and I share a common vision for achieving lasting peace," Anastasiades said. The wrangle highlighted the complex political challenges that have foiled decades of negotiations aimed at reunifying Cyprus. The tiny east Mediterranean island of just over a million people was cleaved along ethnic lines in 1974 when Turkey invaded in the wake of a coup by supporters of union with Greece. Attempts to rekindle reunification talks are still ongoing. 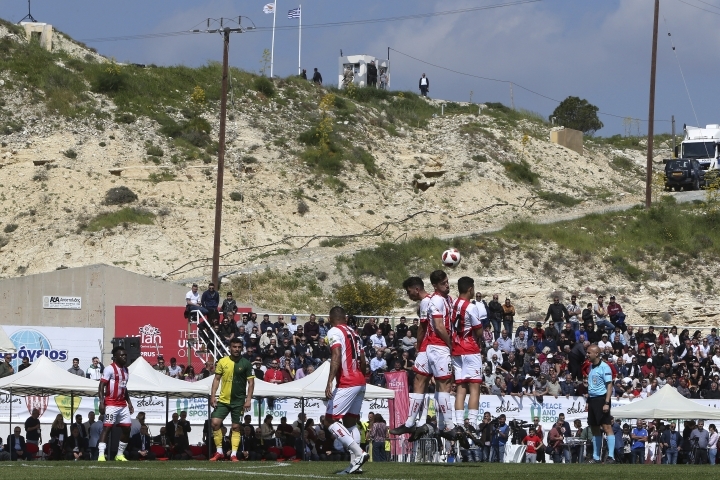 Despite this, hundreds of people from both communities watched the game under an early spring haze between Nea Salamina and Magusa Turk Gucu, and to also catch a glimpse of retired football star Didier Drogba who attended as vice president of the Monaco-based group Peace and Sport, an organizer of the event. 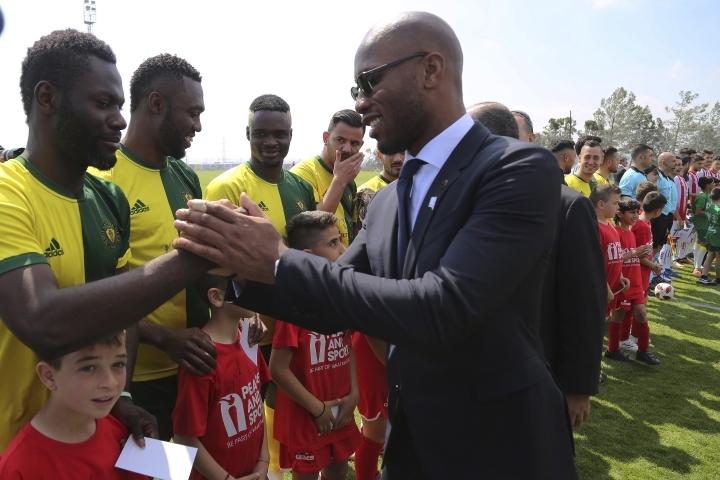 "On the occasion of this friendly match we are celebrating the unity and power of sport and we want to send a message from Cyprus," Drogba said. 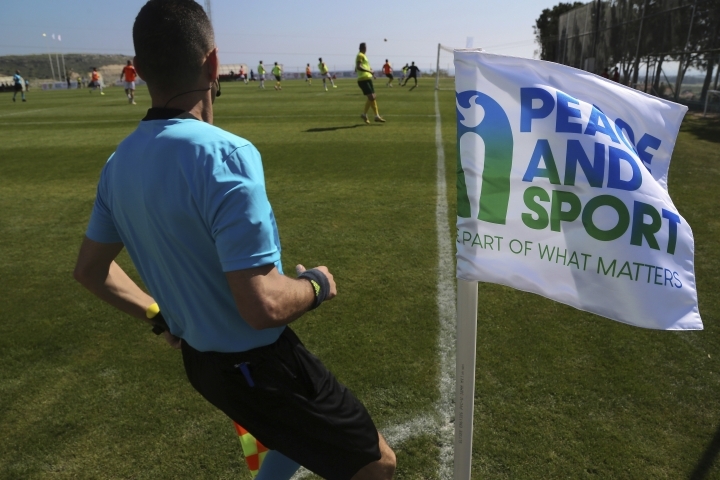 Stelios Haji-Ioannou, the founder of easyjet who helped organize the event, said soccer's mass appeal on the island can help connect people from either side of the divide. Alluding to Akinci's absence, he said "we're going to learn the lessons" from the event and that future games should be held on both sides. 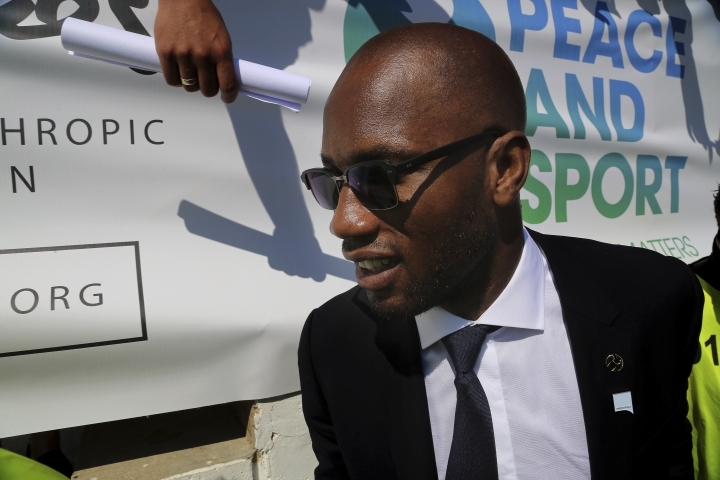 But it was Drogba who stole the limelight. He was swarmed by many fans who jostled for a photograph or sought autographs from him.